The Eastern Cape Department of Human Settlements only managed to issue 606 title deeds to housing beneficiaries in the 2017/18 financial year. The DA believes that land reform should also include urban land, by ensuring that beneficiaries of state-subsidised housing projects receive their title deeds quickly and efficiently. In a reply to a legislature question I asked the former MEC for Human Settlements, Helen Sauls-August, stated that the department had issued only 606 of the 3 000 title deeds that it had intended to issue to beneficiaries for 2017/18 the financial year. Instead, a total of 18 937 D3 Certificates, also known as “happy letters”, were issued. A happy letter is not a title deed. Without title deeds, beneficiaries do not have a legal claim to their homes. 2017/18 – estimated performance of 3 000 yet only 606 title deeds issued to beneficiaries. It is clear that the department lacks the political will to ensure that beneficiaries become the true owners of their homes. In addition to the financial opportunities that come with owning a home, this province faces huge problems with illegal housing occupation. We believe that the issuing of title deeds will go a long way to ensure that the rightful owners have legal claims to their homes. The DA has championed the distribution of title deeds to residents in the Metros where we govern, making true homeowners of people who have previously been permanent tenants of the state. The DA’s coalition government in the Nelson Mandela Bay Metro has handed over 1 900 title deeds to beneficiaries since it came to power in 2016. I have submitted follow-up questions to the new MEC for Human Settlements, Mlungisi Mvoko, to outline the steps he intends to implement to accelerate the issuing of title deeds in order to meet the targets set by the department. Only a DA-led provincial government can bring about the change needed to give our people freedom and empowerment to take control of their lives. 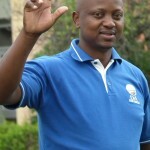 — Sanele Magaqa MPL, Shadow MEC for Human Settlements.